If it’s been a while since you’ve seen any significant results from your current workout program, it may be time to reevaluate and reassess your approach. Whether you are a beginner, intermediate or advanced in whatever type of training you do, we all have one thing in common—we are all trying to improve ourselves. And regardless of what we are trying to improve, be it an increase in lean body mass to fat ratio or increased VO2max, at some point we reach a plateau and results come fewer and further between. However, you are about to discover one very powerful tool that we all possess as humans, a tool that has been with us since the beginning of time and is the driving force for all life—adaptation. The body is an amazing machine that changes itself on a cellular level to increase its chance for survival. For example, bone density increases when subjected to carrying heavier loads, and living in higher elevations causes your body to produce more red blood cells and capillaries to deliver more oxygen. Now, while the idea of applying the body’s ability to adapt to increase its performance capabilities has been around for a while (e.g., Old school bodybuilders recognize this as one of the Weider Principles—Muscle Confusion) it is a tool that many of us do not take full advantage of. What makes this tool so useful is the many ways in which we can apply it. There are virtually an infinite amount of ways in which we can introduce variety into our training program. But always keep in mind that the more ways you demand your body adapt to new stress, the less chance your body will reach a state of complacent adaptation in which it doesn’t feel the need to make any changes or improvements since it already has what it needs to keep doing the same thing it has been doing. And while any type of athlete or exercise practitioner can benefit from this principle, for this article we will use weightlifting examples, as a majority utilize this form of training regardless of their sport or activity. The following are just a few suggestions that can get you started to see results anew! Let’s start with the basic foundation of any training program—the exercise. Perhaps you have a favorite exercise that you do to build leg strength, and you do this particular exercise every time you train legs. If you continue to see noteworthy gains with this particular exercise, by all means keep at it. However, more than likely, at some point you will begin to see that you are no longer seeing the results you once did when you first began this exercise. Here is where you should begin to introduce variety. Rather than getting into a discussion about which is better, free weights or machines, a better and more productive discussion is how including both of these forms of exercise can contribute to a more holistic approach to exercise and, by extension, more well-rounded results. While it is true that free weights have many advantages over machines (e.g., recruitment of balancing and stabilizing muscles in addition to the primary muscles being trained, and forcing both sides to work equally and therefore promoting symmetry) machines can be very beneficial in targeting and isolating muscular contractions in a specific range of motion. Suggestion: In addition to performing a free weight exercise for a specific muscle group, introduce a new machine exercise that also targets that muscle group. If you have just been using free weights and/or machines in your training program you will be amazed at the benefits you can achieve by adding bodyweight exercises. And another great thing about bodyweight exercises is that they can be done almost anywhere. Suggestion: You can exercise your entire upper body with just two bodyweight exercises—push-ups and pull-ups. Add bodyweight squats or lunges and you have trained your entire body! When it comes to adding variety in your workout program, even something as simple as changing the order in which you normally do your exercises can translate into new gains. For instance, if you train more than one muscle group on a particular day, it is important that you don’t always train the same muscle group first because you could be limiting the amount of energy you have to train the second muscle group, and this can create imbalances in your development. Imbalances are not only aesthetically unpleasing, but can also lead to injuries due to overcompensation of one or more muscle groups to correct this imbalance. Suggestion: If on your leg day you train both your thighs and your calves, but you always save your calves for last, try doing your calves first next time. The increased intensity you can now devote to your calves may spark new growth in calves that were otherwise lagging behind in development, compared to your thighs that were always being trained first. Next, let’s consider the basic building blocks of every exercise—the amount of sets and reps to perform. Again, there are vast multitude of ways in which you can apply variety here. One common variety of performing sets is to arrange them in a pyramid fashion. You begin with a light weight that you can do in a high rep range and continue to add weight with each successive set until you reach a weight that you can only do for your lowest chosen rep range. Some people will then reverse the order until they end with their warm-up weight to use as a final burnout set. Pyramid sets are a good method for safely warming up to heavier workloads, and therefore are ideal for beginners. However, once you have become experienced enough, and have mastered good form, try introducing the following methods to add a new level of intensity to your workout that is sure to keep your body actively adapting to improve. When you have completed one set immediately strip off or lower the weight enough to allow you to do your target rep range for another set. You can continue in this manner drawing it out for as many sets as you choose. Suggestion: Stand in front of a dumbbell rack and pick an exercise that you can start with one of the heavier weights and do as many reps as you can as you progress all the way down to the lowest weight. Supersets consist of doing two different exercises one right after the other. These two exercises can be for the same muscle group, to really target and challenge it to new growth, or they can also be done with two antagonist muscle groups, such as the biceps and triceps. Suggestion: Perform a set of barbell curls and then immediately do a set of tricep pushdowns. There is much discussion about the ideal rep range for each particular goal. However, don’t get too caught up in one specific range. Remember, our main goal is improvement, and to achieve this we need to continually challenge our body in new ways. Suggestion: Therefore, if you have been consistently using a 8-12 rep range, don’t be afraid to devote one day to a set of 50 or 100 rep range, as long as you are using a weight that can allow you to perform this many reps with safe form. This just might be the necessary shock that reawakens your body’s adaptation mechanism to begin new growth. Utilizing partial repetitions, negatives, and time under tension is another super effective way to break free of a workout plateau. As a beginner, performing an exercise through its full range of motion is always a good idea. However, from time to time, in the interest of adding variety and creating new growth, partial repetitions can be done. Partials allow you to use a heavier weight than you would normally use when moving through a full range of motion. Even though you are only moving through a partial range of motion, good form is still very crucial here, so be sure you are not sacrificing it for the heavier weight. There are two phases to the range of motion of an exercise. 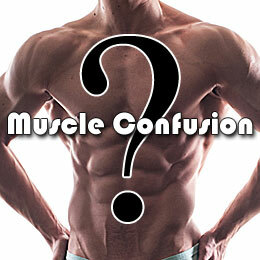 The concentric contraction is when the muscle actively shortens, as in the upward lift of a bicep curl. The eccentric contraction is when the muscle actively lengthens, as when we control the weight back down on a bicep curl. Therefore, yet another way we can add variety to our training is to control the way we perform these two phases. A muscle is generally stronger in the eccentric phase, so a method known as negative training utilizes this mechanical advantage by performing the eccentric phase at a much slower tempo than the concentric phase. Taking the intensity one step further, in a technique known as time under tension, we can slow the tempo down in both phases. It is usually necessary to use lighter weights when performing an exercise utilizing time under tension, but the burn is incredible! Of course, increasing the tempo is an option too, but only for the concentric phase as you always want to control the weight safely in the eccentric phase. Suggestion: Negatives are a great tool to mix into your training program, but don’t use them too frequently as they can start to cause excessive muscle trauma, and we want to find that sweet spot where we are challenging the body to adapt just enough so that it still safely can. Finally, adding variety to your workouts also helps you avoid another main barrier to achieving results—mental burnout. When you’ve been doing the same routine, with the same exercises, in the same way for days and months on end, eventually you no longer even look forward to your workouts. This lack of enthusiasm can definitely decrease the potential intensity and effectiveness of your workouts and, when you couple this with demotivating diminishing results, you begin to enter a vicious cycle of stagnation in which you either continue on through sheer will hoping to eventually see results, or just quit altogether. While your workouts should always be challenging, they should also be fun so that you actually look forward to doing them. In addition to the above mentioned suggestions, consider adding another activity to your training program like yoga, martial arts, gymnastics, etc. Get creative and start thinking of new and interesting ways to make your body’s amazing adaptive ability work for you and breathe new life into your training results. Dax Tucker has over 29 years of weight training experience, a black belt in Tae Kwon Do, and is a tournament chess player and yoga practitioner. He also has an MBA, and a BA in psychology. In June of 2011 he released his first published work, "The Leaf Catcher," that is bound to be a modern classic. "The Leaf Catcher" is written in the style of Dante's Divine Comedy and explores and defines the human mind, body, and soul. 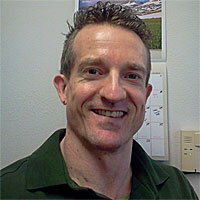 Dax is currently married with 3 children, and lives in the Pacific Northwest.